Great results last weekend 24th of November at our last dog show in Iceland, ISCh RW-13 Glitnir Heiður (Myrra) was BOB and BIG-2 with Crufts qualification and Nordic CC. 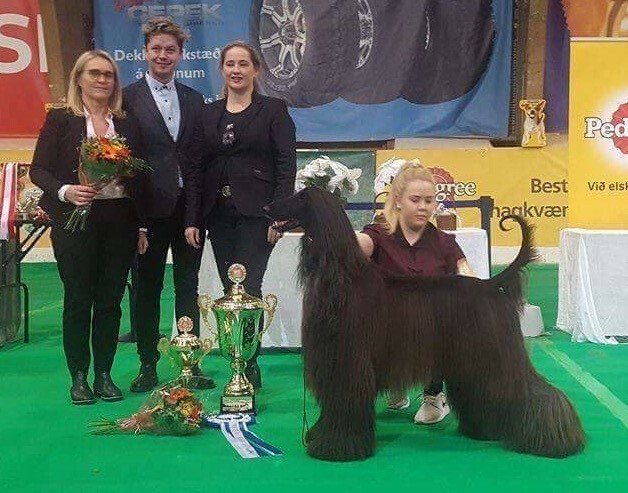 ​Myrra is now top #1 Afghan hound female in Iceland 2018. 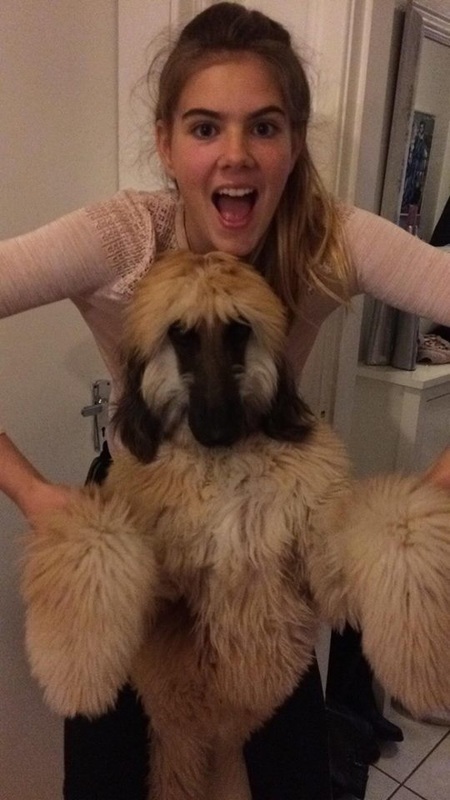 Congratulations to the owner and handler Valdís Vignisdóttir. 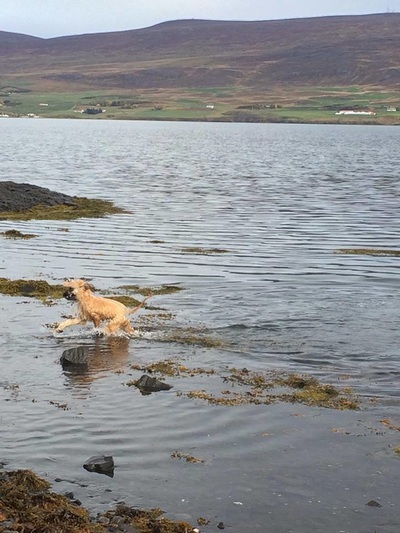 Myrra is living a happy life with her lovely family and litter brother CIB ISCh ISW-16 RW 16-17 Glitnir Vestri TOP DOG 2016 of all breeds in in Iceland. Congratulations to his great owners Daisy Yli-Alho and Alette Yli-Alho. Baldur is beautiful afghan hound that is living with his owner in Tenerife. He has passed test both in puppy school and show training class. He is one year old, very happy dog, love to work and has a great temperament. C.I.B. 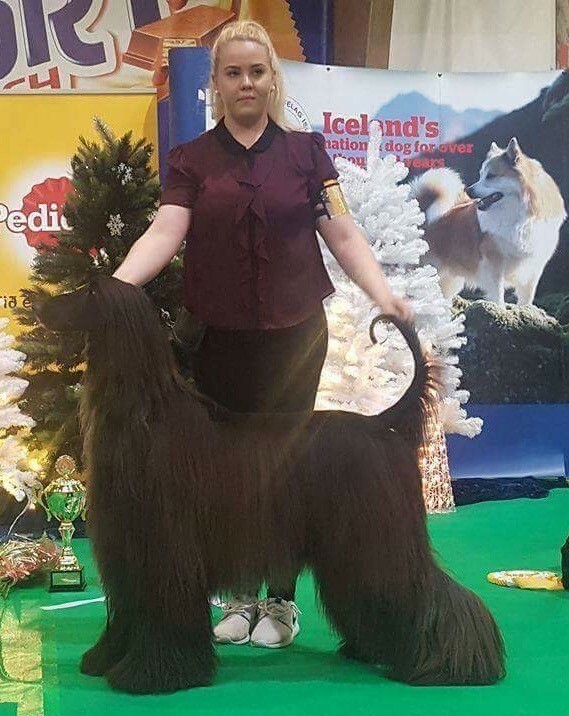 ISCh Glitnir Vestri was BIS 2 today at International dog show in Iceland under the judge Svend Lövenkjer (Denmark). 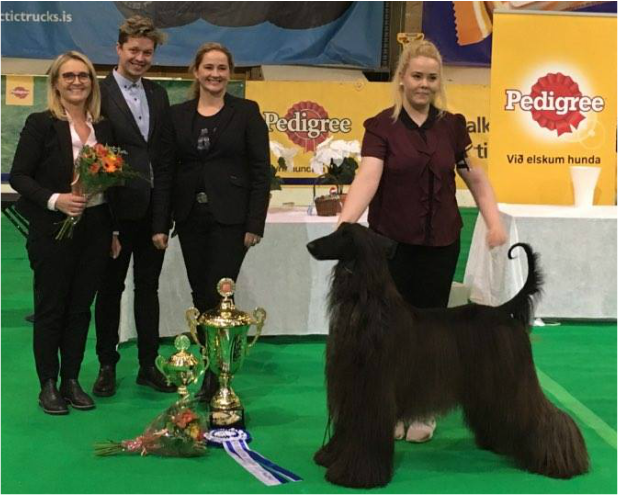 Glitnir Vestri is also TOP DOG 2016 of all breeds in Iceland. 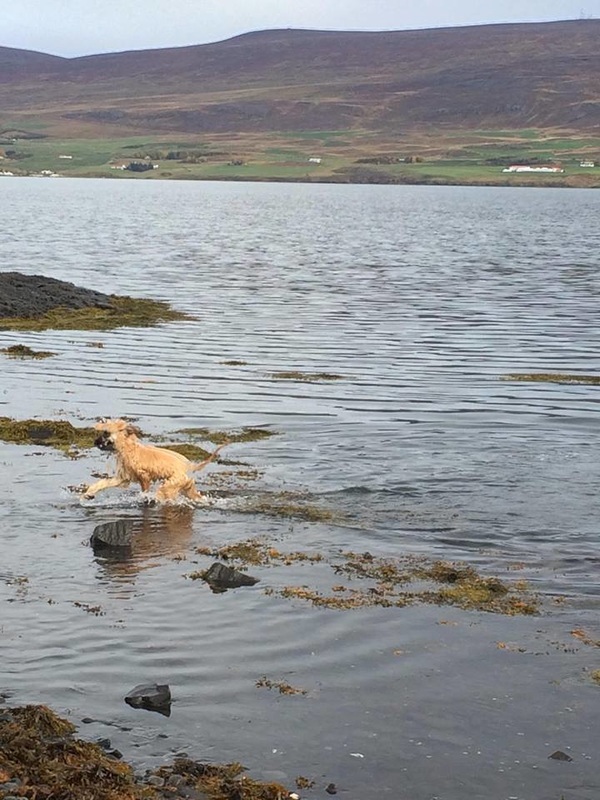 What a great year for us at kennel Glitnir and his owner Valdís Vignisdóttir. Congratulations Valdís Vignisdóttir with this beautiful boy. Glitnir Baldur is available for showing and/or a loving home. He has participated in two puppy shows with great results, a prize of honor and a very nice Judging Critique. He has a lovely temperament with a happy-go-lucky attitude. His is willingness to please made both puppy classes and show training a breeze. 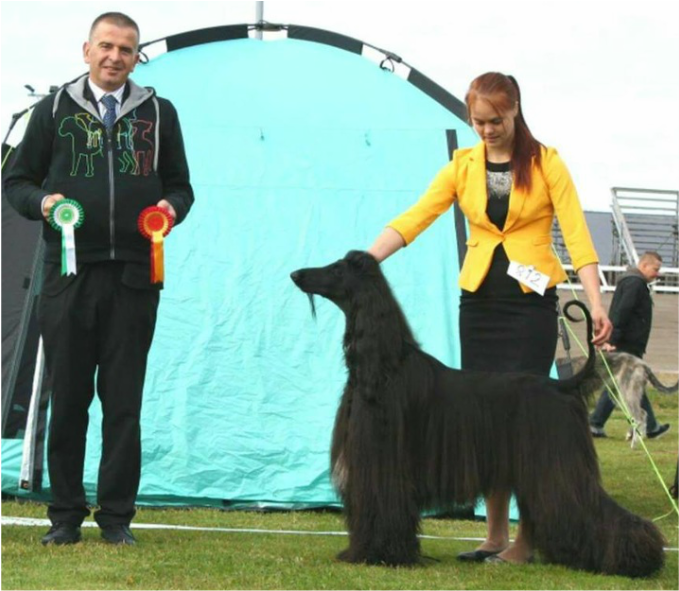 His full-brother (Glitnir Vestri) from the last litter is top #1 ranked Afghan hound in Iceland and is set to become the overall top ranked dog (all breeds) in Iceland for 2016. He is out of sire ISCh Anuschka Shadow Dancer & dam ISCh Kingsleah Golden Topas. Their first litter has champions and BIS worldwide. PM for more details. ​ Fin & Est Ch Glitnir Thorinn was Best in show 2 at dog show in Oulu Finland. Breed judge Tino Pehar, Croatia, group judge Igor Selimovic,Croatia and BIS judge Markku Kipinä, Finland. Congratulations to the owners Aletta Yli-Alho (also handler) and Daisy Yli-Alho.